– Rep. Martha McSally (R-Ariz.): McSally, a freshman who was one of the top fundraisers in the House in the first quarter, outperformed her counterparts and rivals again this quarter, pulling in more than $800,000. That’s almost four times as much as either of her Democratic challengers raised. 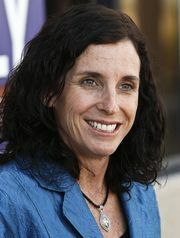 McSally had nearly $1.7 million in cash on hand to defend her swing seat. One caveat: McSally has spent heavily to raise that kind of cash; she shelled out about $564,000 in the third quarter, most of it on direct mail and related expenses. So $564,000 went to enrich the vendors and political consultants who raised the $800,000? Wow, that is one sweet cut. On a related matter, you will recall that Rep. McSally has had problems complying with federal campaign finance reporting laws. Questions for Martha McSally: What’s up with your FEC reports?, and Martha McSally ‘needs to get a better grasp of what it means to follow the rules’. There may be a simple explanation for why donors listed on U.S. Rep. Martha McSally’s campaign-finance reports are missing identifying information – a problem that is the basis of a complaint to the Federal Election Commission. A review of a sampling of those donors suggests that, for many of them, their employer and occupation should be listed as one word: retired. Many of McSally’s donors have the words “information requested” on the lines for occupation and employer. In checking a sample of 150 of those donors in the second quarter of this year against a database that includes birth dates, The Republic’s Washington bureau discovered the average age of the donors was 77. More than three-fourths were at least 70, 13 were in their 90s and two were centenarians. More than 60 percent are from outside Arizona. Attempts to reach many of these elderly donors were unsuccessful. Rather than explain away McSally’s problem, The Arizona Republican report raises more questions. The conservative political fundraising consultants and vendors are primarily grifters who seek to enrich themselves. Given the age of the “marks” that they are shaking down for campaign contributions, it raises legitimate concerns about their taking advantage of the elderly. This could constitute elder abuse. 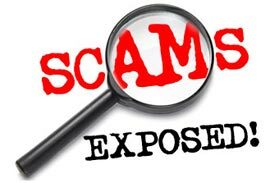 [A Ponzi scheme] is generally illegal, but as is often the case with criminal frauds, an enterprising individual can often come up with legal ways to mimic the operation of a crude fraud. One such method is the multilevel marketing scheme, in which you are compensated not only for selling a company’s products but for recruiting new sellers. The success earlier sellers had in making money by recruiting new sellers serves as a tool to recruit new sellers. Until, that is, you run out of new sellers to recruit, and it all collapses. The New York Times’s Eric Lipton and Jennifer Steinhauer conducted a brilliant investigation into what amounts to a political version of this — the endless parade of front groups urging conservatives to dump John Boehner or Mitch McConnell or oppose Kevin McCarthy or Paul Ryan. What they found is that most of these groups aren’t really raising money in order to support conservative candidates for office or to lobby on behalf of conservative causes — they’re raising millions of dollars and then spending 80 to 90 percent of that money on fees to consulting firms that are run by the people who started the groups. In effect, you have direct mail and email campaigns whose sole purpose is to raise funds to pay direct mail and email operatives. Even Ben Carson’s presidential campaign has something of this air about it. Carson is currently in second place in national polls and leading in Iowa. His campaign is raising tons of money from small donors and is spending most of that money on fundraising. People are giving Carson money so that he’ll have the money to ask more people for money. It’s a form of pyramid scheme. There’s no real field operation, policy staff, or any other manifestation of the kind of campaign apparatus that could plausibly result in victory. But in both cases there is the appearance of a growing movement, as manifested in an ever-increasing din of fundraising solicitations, though there’s little in the way of actual movement building or policy progress. Yet it’s all perfectly legal, and when the groups of the day end up collapsing, the consulting operations behind them can always find new ones. [T]these politically charged appeals to conservatives around the country were often accompanied by a solicitation for money, and the ultimate beneficiaries, records suggest, are the consultants who created the campaigns rather than the causes they are promoting. But sentiments like Mr. Schweikert’s are no match for the velocity and scope of the solicitations sent to a million people with a single click. Larry Ward, the founder of Constitutional Rights PAC, defended the move to derail the ascension of Mr. Ryan, calling it a worthy goal. But Mr. Ward also has a financial stake in the fight. He runs Political Media, a Washington-based firm that will charge Constitutional Rights PAC a fee for sending out the blast email with the dual purpose of asking conservatives to help dump Mr. Ryan and to donate to Mr. Ward’s political action committee. [R]ecords show that Mr. Ward’s PAC spends every dollar it gets on consultants, mailings and fund-raising — making no donations to candidates. Mr. Ward defended his use of his own firm, saying he gave his PAC a discount on his company’s regular service charges. Mr. Ward has plenty of competitors. Groups including the Tea Party Leadership Fund, the Madison Project and the Tea Party Patriots have in the past year turned the attack on the Republican leadership into a fund-raising tool, records show. The messages have resonated deeply throughout the conservative news media, from Fox News to Breitbart.com, helping to force out Mr. Boehner; to undermine a potential replacement, Representative Kevin McCarthy of California; and to discredit Mr. Ryan, a process that is starting to cause a backlash among some Republicans. Campaign finance documents examined by The New York Times show that the PACs and other groups running many of these petition drives have a history of spending most of the money they raise on consulting firms, as opposed to using it to support political candidates, in stark contrast to how most PACs function. The efforts employ similar tactics. Conservative outlets like Breitbart or The Washington Examiner are given “exclusive” advance notice of a new effort, like the “Remove John Boehner” campaign started early last year by the Tea Party Leadership Fund. The answer can be found in campaign finance records, which show that of the $6.7 million the Tea Party Leadership Fund has raised since 2013, only about $910,000 has been spent on conservative Republican candidates it supports — either in direct contributions or independent expenditures on the candidates’ behalf — as an alternative to Mr. Boehner and his supporters. Mr. Backer and his various businesses run out of his office in Alexandria, Va., are another major beneficiary. His law firm provides legal and campaign advice to the Tea Party Leadership Fund. He also has an ownership stake in a campaign fund-raising company called SCM Enterprises that the Tea Party Leadership Fund relies on. And he helped create a conservative website, American Action News, where the Tea Party Leadership Fund routinely places advertisements. Collectively, the corporate entities Mr. Backer owns or has financial ties to have been paid at least $1.1 million in fees since 2013 by the Tea Party Leadership Fund and other PACs he helps run, federal records show. The emails sent to voters make no mention of Mr. Backer. Instead, they are sent by high-profile conservatives like Katrina Pierson, a Tea Party activist from Texas who ran for Congress last year and who was paid $30,000 in the first six months of the year to serve as the group’s spokeswoman, records show. Similar petition-styled, fund-raising efforts, using Mr. Boehner’s name, have been set up by groups like the Tea Party Patriots, which the conservative activist Jenny Beth Martin of Georgia helped found. Her group has set up a website targeting the Senate majority leader, Mitch McConnell of Kentucky. Excellent point, Mr. Walden. Maybe the reporters at The Arizona Republican, instead of trying to make excuses for Rep. Martha McSally’s inability to comply with campaign finance reporting laws, should instead investigate the vendors and political consultants she has hired for campaign fundraising who are shaking down elderly marks for her campaign donations. These grifters may be taking advantage of the elderly to enrich themselves. If this is the case, the Arizona Attorney General’s Elder Abuse division should open an investigation.